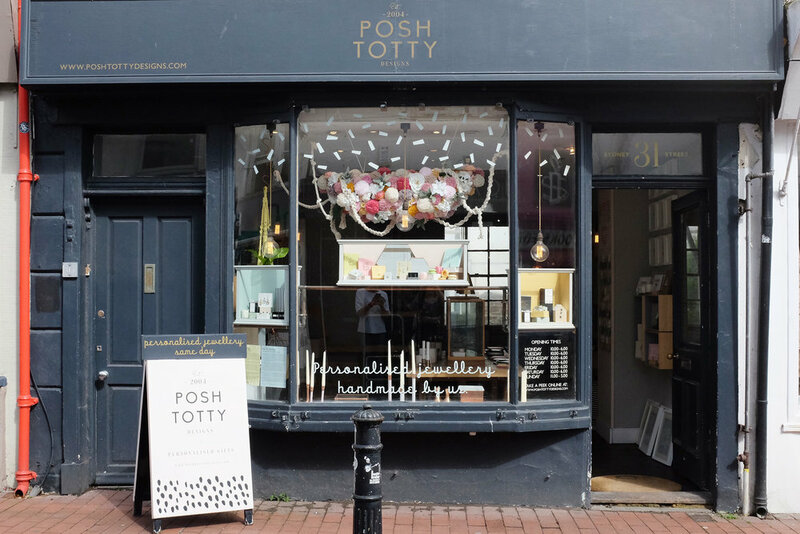 Last Summer I was asked to come up with a window design for Brighton based jewellery shop, Posh Totty. 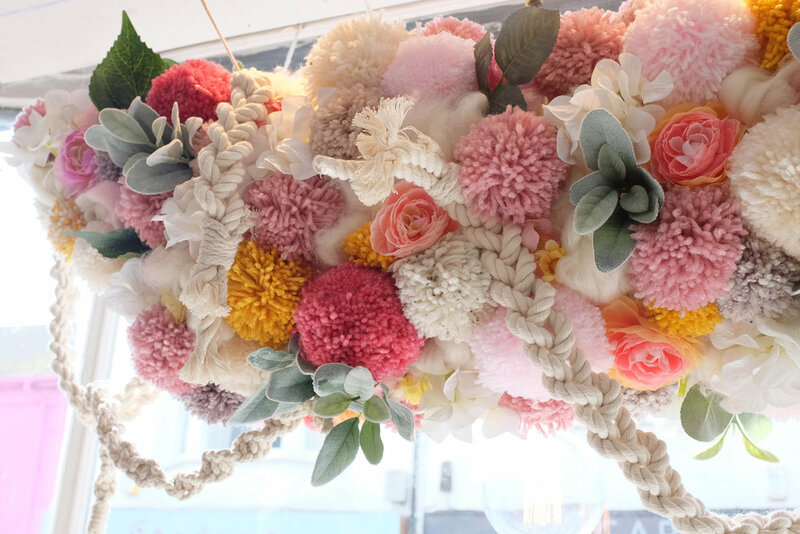 They have a cute little shop in the North Laines and I thought it would be perfect for some kind of flower and pom pom creation. I absolutely loved creating this. I hope to do a few more next Summer.